Some key events since the early 20th century. 1991: The people in Kurdistan rise up against the Iraqi government days after the Gulf War ceasefire. Within weeks the Iraqi military and helicopters suppress the uprising. Tens of thousands of people flee to the mountains, causing a humanitarian crisis. The US, Britain and France declare a no-fly zone at the 36th parallel and refugees return. Months later, Saddam Hussein withdraws the Iraqi Army and his administration, and imposes an internal blockade on Kurdistan. 1992: The Iraqi Kurdistan Front, an alliance of political parties, holds parliamentary and presidential elections and establishes the Kurdistan Regional Government. 1994: Power-sharing arrangements between the Kurdistan Democratic Party (KDP) and the Patriotic Union of Kurdistan (PUK) fall apart, leading to civil war and two separate administrations, in Erbil and Suleimaniah respectively. 1998: The PUK and KDP sign the Washington Agreement, ending the civil war. 2003: The Peshmerga, Kurdistan’s official armed forces, fight alongside the coalition to liberate Iraq from Saddam Hussein’s rule. 2005: In a national referendum, Iraqis vote in favour of a new constitution. The new constitution, which is approved by 78% of voters, recognises the Kurdistan Region’s institutions including the Kurdistan Regional Government and the Kurdistan Parliament. 2006: At the start of the year, the PUK and KDP agree to unify the two administrations. On 7th May, Prime Minister Nechirvan Barzani announces a new unified cabinet. Gareth Stansfield, ‘The Kurdish Question in Iraq, 1914-1974’, The Middle East Online Series 2: Iraq 1914-1974, Thomson Learning EMEA Ltd, Reading, 2006. Library of Congress Country Study: Iraq. 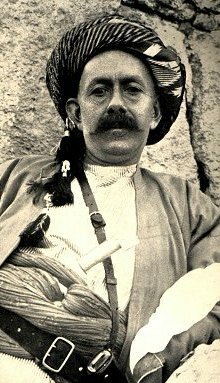 No Friends but the Mountains: The Tragic History of the Kurds. John Bulloch and Harvey Morris. Human Rights Watch report, Whatever happened to the Kurds? 11 March 1991. David McDowall, A Modern History of the Kurds. Saddam’s Road to Hell: Documentary film by Gwynne Roberts. Kurdistan Regional Government estimate. Genocide in Iraq: The Anfal Campaign against the Kurds. Middle East Watch Report, Human Rights Watch, 1993.